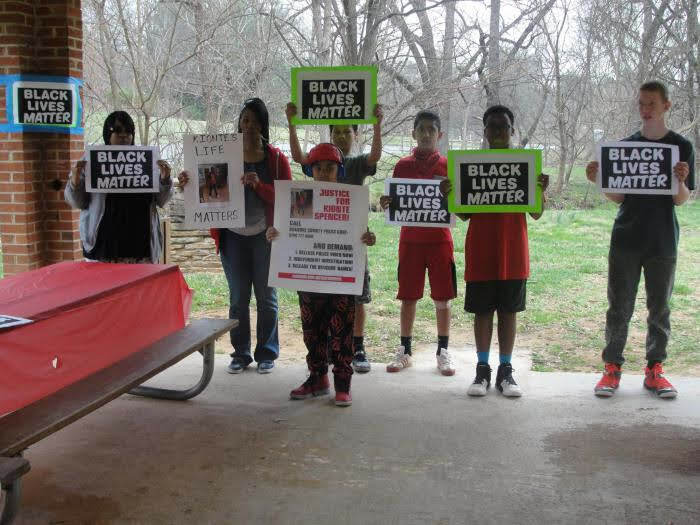 The lessons we learned are unfortunately not new for any oppressed or marginalized persons in the so-called U.S.
Pursuing justice through the “appropriate” channels (petitioning and pleading to RCPD, Roanoke County Board of Supervisors, Virginia Governor McAuliffe, and U.S. Attorney/DOJ) for a young Black student killed by cops brought zero accountability, transparency or justice. It did, however, expose the system and their sham process to us. White supremacy is in embedded in the police institutions (including the RCPD) regardless of specific cops and their personal tendencies. This was glaringly illustrated in April 2017, when a white guy twice Spencer’s size and age (Kyle Waldron) was pulled over for a DUI on the same street Kionte was killed (Electric Road), pointed a loaded REAL gun at cops, even fired a shot, and the RCPD managed not to kill him. We cannot depend on the state to keep us safe or be held accountable for their violence against us, as the system protects itself and those who occupy those positions. Roanoke County Police withheld the names of the officers who were responsible and involved, withheld the multiple dashcam videos from the public and Spencer’s living family (only playing a compilation of edited footage for his brother when faced with legal pressure from the ACLU) and faced no official consequences. The killers are back on the streets, quite possibly trying to build false trust with kids in schools, and no doubt emboldened to do the same thing to anyone else at the cops’ own discretion. 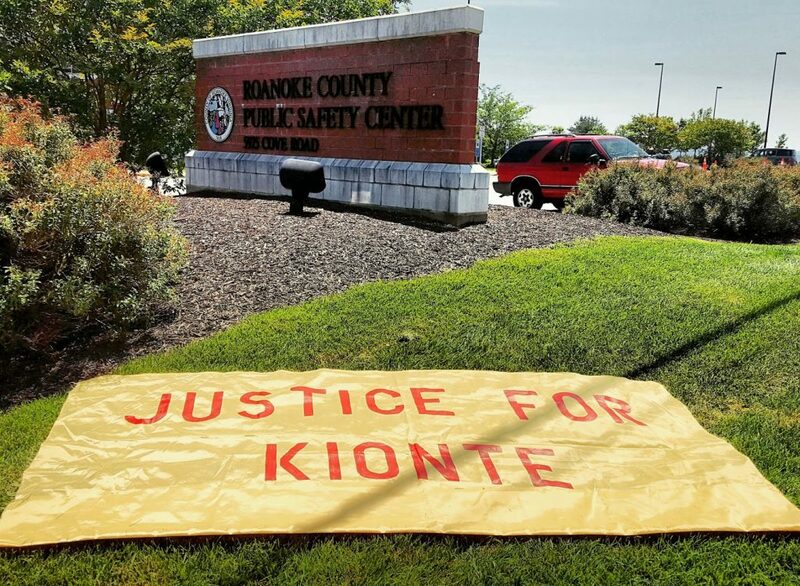 Kionte Spencer’s life mattered. His death is a tragedy in Roanoke. The injustice of his murder is one of the reasons #WhyTheyKneel, and one of the reasons we organize. Jason Lambert is an organizer with the Roanoke Peoples’ Power Network. This article, slightly edited here, originally appeared on the group’s website at tinyurl.com/yalazuhh.